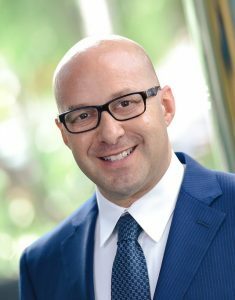 Mitchell Starr joined Bienenfeld Lasek & Starr, LLC (BLS) in 1996, when Howard Bienenfeld and Carol Lasek were seeking to groom the next generation of advisors to ensure the continuity of their financial services business. Sharp, analytical, hardworking and entrepreneurial, Mitch inherently grasped Howard and Carol’s vision and wanted to contribute to its success. Once he accepted Carol and Howard’s invitation to work alongside them, it didn’t take long for all three to realize that the chemistry was right. They continued to refine their working arrangement, and Mitch formally joined the business as a partner in 2002. Having had influential mentors in his own professional and personal development, Mitch feels an obligation to help others succeed in his field – whether through teaching or informal mentoring. Mitch has been consistently recognized for his performance by the Massachusetts Mutual Life Insurance Company (MassMutual), and has achieved ELIF status, for an Exceptional Level of Insurance in Force, an achievement accomplished by less than 300 advisors in the company’s history. Mitchell is a frequent speaker on many topics at industry conferences across the country. Equally disciplined outside of work, Mitch exercises year-round to prepare for a variety of competitive athletic events. He actively supports the National MS Society, Compassionate Pug Rescue, and Debbie’s Dream Foundation, an organization dedicated to finding a cure for stomach cancer. He has also been a classroom instructor for Junior Achievement and currently serves on the Board of Jewish Federation of Broward County. Mitch is a graduate of Florida International University. He resides in Plantation, Florida with his wife, Blake, their two daughters, Allie and Aimee, and five rescued pugs.